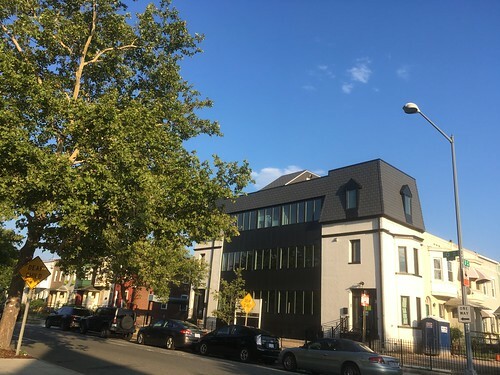 So the Bates Area Civic Association (BACA) voted to support Plan B, which was building a distinct 3rd floor and a new turret, that looks like a little hat (See The Turret is Plan B). It was what the ANC and the residents of the 1700 block of 4th and Richardson apparently agreed on. The developers ‘threatened’ that they could by right raze the building. Maybe. I don’t know if it would have been worth it because if the building were razed there would be no need to stick to Plan A either and they would have had to be within 60-62% of lot coverage. The current structure is about 70 something of lot coverage. 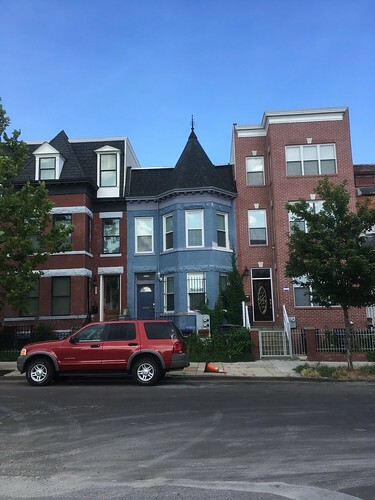 Anyway, I am still sad that the plan does not incorporate the turret like 1721 4th St does. It looks less like a pop up. Here is a newer picture I took a few days ago of 1721-1717 4th St NW. The building on the left is 1721, and it includes a pop up. The blue building in the middle is an original Wardman, minus some roof vents that existed earlier. The building on the right is 21st century infill. The one with the popup has a mix of historic charm and more square footage, the middle, has the historic charm and details, and new one, plain and has that extra floor. The buildings on the left and right do rise above the one in the middle but the heigh difference isn’t too drastic or jarring. What 1721 does is use that old mansard roof and expands on it. There are other additions in Truxton Circle that add a floor. There is a popup on the 1600 block of fourth street that blends in well. I can’t seem to get a good photo of it because there are two trees that block the view, and maybe the trees help obscure the popup. I’m still trying to make up my mind regarding this pop up on 3rd and Q. It isn’t horribly ugly, it isn’t charming either. 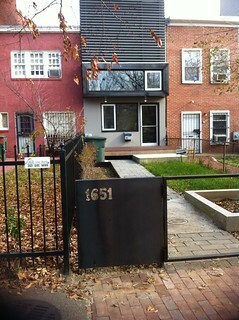 It might grow on me like the Darth Vader house at 1651 New Jersey Avenue NW. 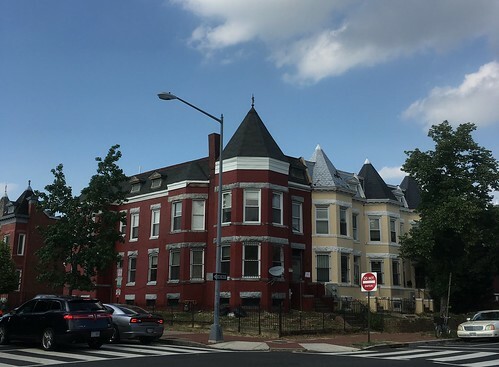 I’m afraid that the 319 R St developers will go with ugly…. 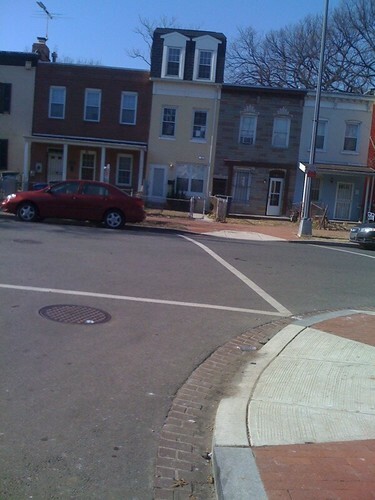 1500 block of 3rd Street ugly. This particular ugly has been slapped by the market’s invisible hand for being so dang ugly.